As the new school term begins we take a look at some packed lunch ideas to fuel the kids trough the school day. Pick up some different ideas like chocolate dipped tangerines and pinwheel wraps. If your little one struggles to eat their fruit swipe this idea from BBC Good Food and dip it in a little chocolate. So easy to do the night before and guaranteed to give the other kids lunchbox envy! 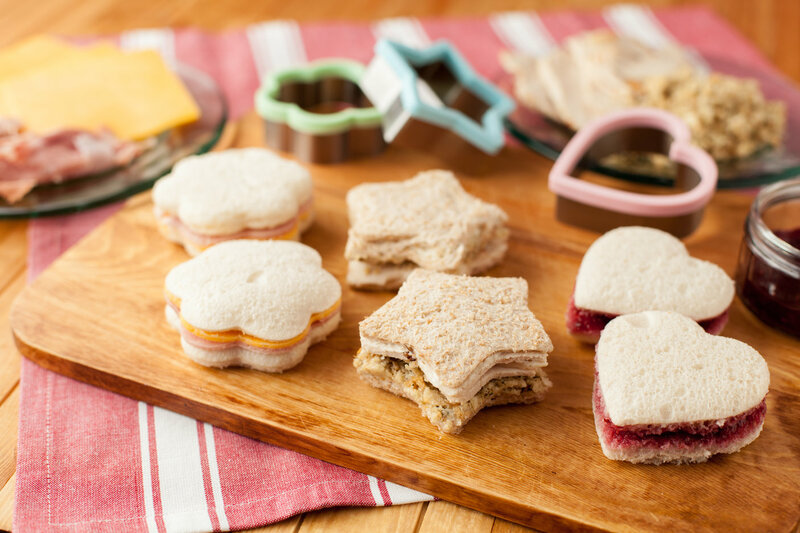 We love the idea of these little pinwheel wraps, especially the fact there is a selection of fillings. This would be a great alternative to Sandwiches. If your child is old enough to deal with hot liquids invest in a small thermos and pack a nutritious soup up for their lunch. BBC Good Food’s article, The best soup recipes for kids is full of ideas like this scrummy Cauliflower Cheese Soup. One Little Project have created an amazing blog called Lunch On A Stick. Packed full of lovely ideas for he whole family. We love the idea of putting little sandwhiches on skewers or using lollypop sticks for little fingers. Mini loaves are over looked. Savoury or sweet they make the perfect lunchbox treat. Why not bake some of these mini vegetable loaves from My Little Lunchbox or take a look at her sweet versions on the website. Embrace the fact some children don’t want their crusts and make use of those cookie cutters you have at the back of the cupboard. We guarantee the kids will gobble their sarnies up if they look like this.